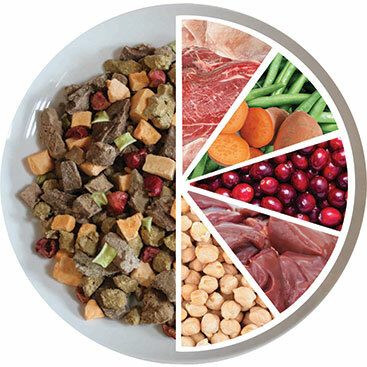 Bravo freeze dried raw diets offer you an outstanding combination of nutrition and convenience. There’s no need to keep them frozen, so you can serve your dog a great-tasting, nourishing meal anywhere you go. Freeze drying simply removes the water from meat and poultry while retaining every vital nutrient in its original, bioavailable form. 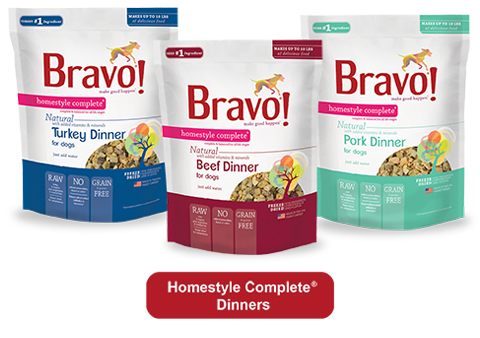 From the moment you open the package, you will note some important Bravo differences.